It's a small park in Lower Manhattan. Its name comes from a small stream called by Native Americans "Mannette", which meant "Devil's Water." 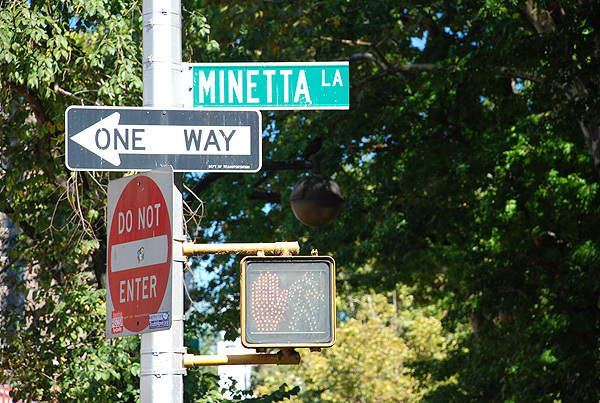 Over the years the name was respelled in a variety of combinations: Minnetta, Menitti, Manetta, Minetta, Manette and Minetto. The park is very small - only .075 acre, and it was acquired in 1925 as a part of extension of Sixth Ave to become a Park officially in 1945.